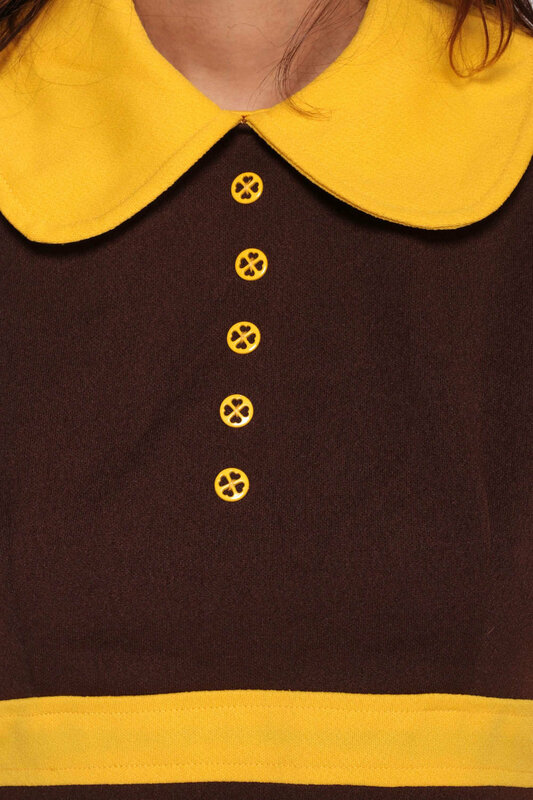 Vintage 60s dress in brown with a yellow peter pan collar. 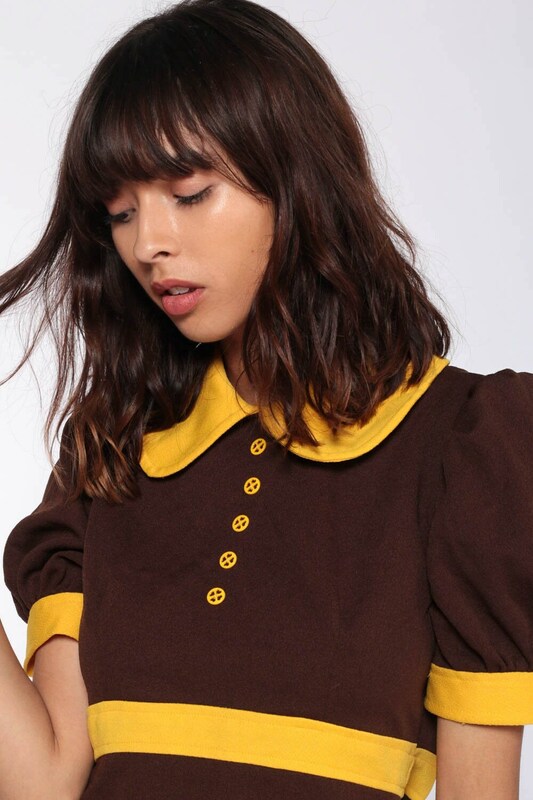 Empire waist, puff sleeves, mini length. Condition: Very good vintage. A couple tiny snags throughout.